If you look at a weather forecast across America today it’s freezing cold just about everywhere (except you South Florida). New England and the Mid-Atlantic just got their first bit of snowfall today making the act of commuting quite miserable. 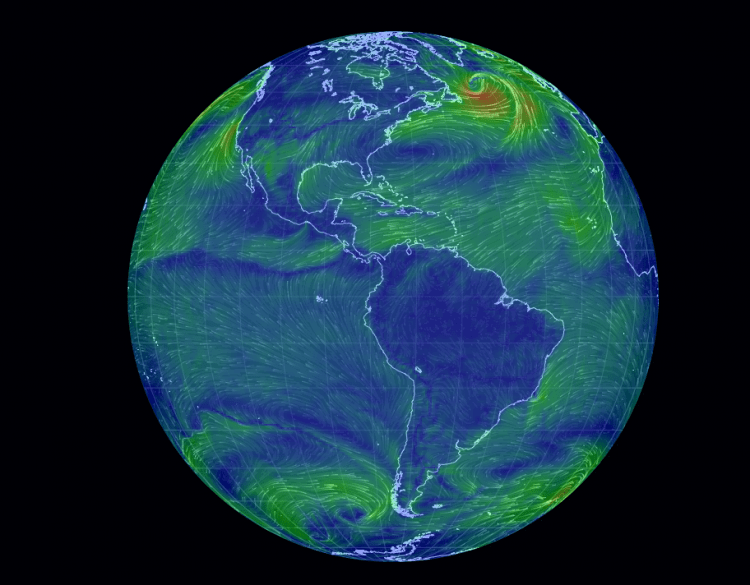 If you’re someone in the northeast who hates cold and snow of the winter well I have an article here to remind you that we really don’t have it that bad. 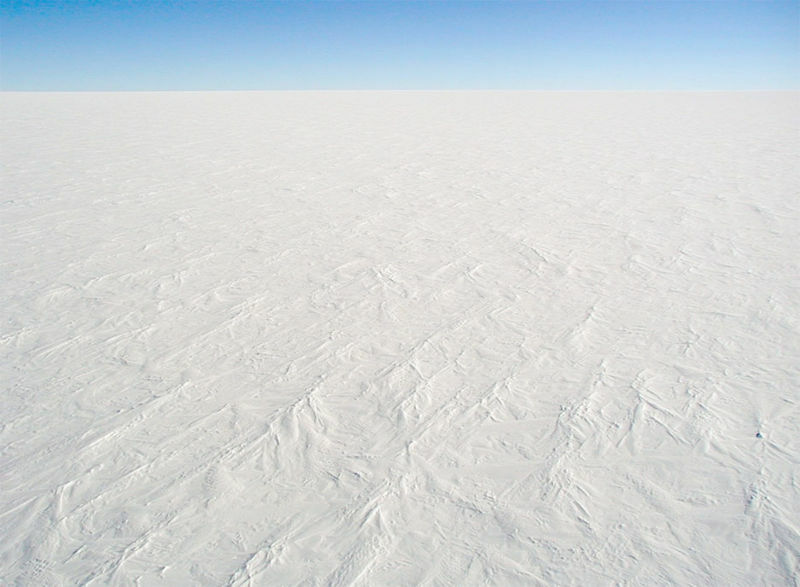 Recently revealed satellite data from NASA reveled that they measured the lowest temperature ever measured on the Earth’s surface in August of 2010 in Eastern Antarctica, -135.8 degrees Fahrenheit. This shatters the previous record low record of -128.6 degrees in Antarctica in 1983 and is about 50 degrees colder than the lowest temperature ever recorded in the Northern Hemisphere. The 30 degree temperatures outside suddenly don’t feel so cold now. Remind me never to take a summer vacation on the bottom of our world. That’s pretty much what you’ll see if you ever decide to go there. Unusual hotels have always existed in some form or another. Some exist on the tops of trees and mountains, while others reside in the depth of caves and the ocean floor. They all exist to stand out from the competition and give their guests a truly cool and unique experience. Following in that trend is The Manta Resort on islands off the coast of Tanzania. They have just opened a suite that floats on the surface of the Indian Ocean and has an incredible underwater room with a 360 degree view underneath the waves. The views of the marine life are especially incredible at night because many sea creatures are attracted to the light coming from inside the room. 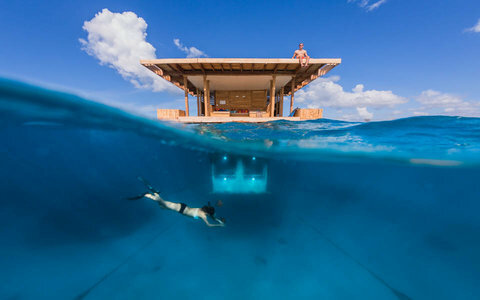 Though it would be incredibly cool to check out, there is no way I would ever want to sleep in that underwater room. The sight of an octopus sticking to my bedroom window would most certainly keep me up all night. That’s one good way to attract tourists to Zanzibar. Clean your refrigerator – Toss anything that is nearing its expiration date before you leave. You’re probably not going to eat it when you get home. Refrigerate fresh fruits and vegetables – Produce sitting on your countertop is bound to attract bugs after a while. Sticking them in the fridge will avoid that problem. Take out the garbage – The longer garbage sits around, the worse it smells and it is also something that will attract bugs and mice. Clean surfaces – Give any countertops and tabletops a good wipedown before you leave. Take care of your plants – Give them some extra water before you head out and move them to a cool area of the house. In cooler weather plants drink up less water and the rate of soil evaporation is much lower. This will ensure your best shot at keeping them alive while you’re out. Stock up on easy meals – When you get back home you’re rarely in a mood to cook. A few ready made meals will help you get settled back in. Suspend your mail – An overflowing mailbox is a huge sign to everyone that you’re out of town. Suspending the mail or having a neighbor pick it up is a good way to take care of that. Turn down (or up) your thermostat – There’s no need to pay to keep the house at your ideal temperature when no one is home. If you’re leaving in the winter turn the thermostat down to 55 which is just warm enough to avoid frozen pipes. If you’re out in the summer, shut off the AC. Your wallet will thank you. Throw out fresh flowers – Even if they look nice now they’ll probably be dead when you get back home. Have a plan for your pets – If you’re not taking them with you, you need to have a plan to ensure that they’re taken care of. That’s how your kitchen should look when you’re on vacation. This week NASA just accomplished a major milestone in its continuing mission of space exploration. For the past few years NASA has been developing a deep-space spacecraft named Orion that is designed to take humans beyond Earth’s orbit. Well NASA just powered parts of that spacecraft up for the first time. While much has been made about the retirement of the space shuttle without anything else ready to replace it, this is what NASA has been working on. NASA has been shooting people into orbit for over 50 years and the furthest away from Earth a human has ever gone was to the Moon. This spacecraft is designed to try to send people far beyond the Moon towards asteroids and Mars and progress is being made towards that endeavor. 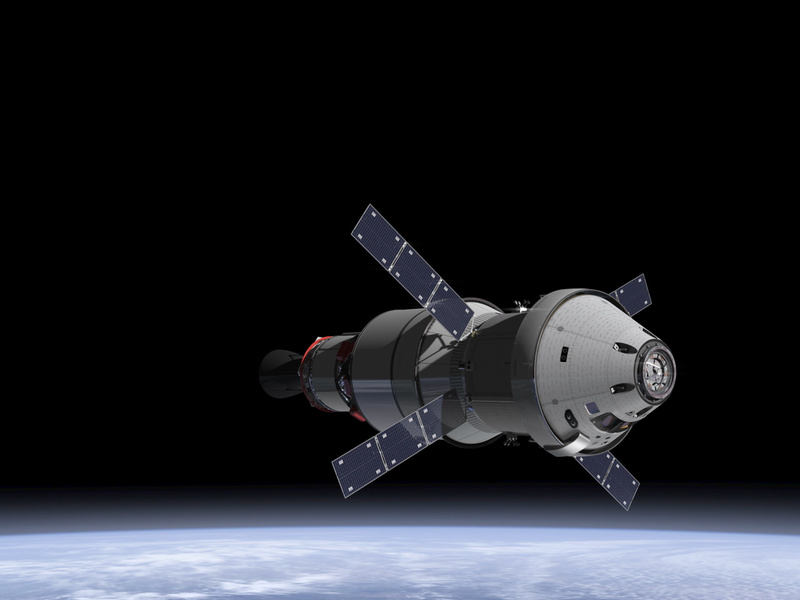 The Orion test module is scheduled to be launched into space without a crew next year for two Earth orbits at 20,000 miles per hour about 3700 miles above the Earth’s surface. The mission of that flight is to gather data regarding how well the ship’s systems work in space in preparation for a manned flight in 2020. Though most of us are destined to spend our whole lives on the Earth’s surface, the idea of humanity traveling into deep space beyond the Earth’s gravity really excites me. It is also the only way humanity can survive for the long haul tens of millions of years from now because the sun will eventually make the Earth too hot to support life. These may be baby steps into the cosmos but it is progress that that future generations will be able to build upon to do extraordinary things that science fiction writers only dreamed about. Besides I’d love to be a shareholder in a potential Martian real estate market. That’s what it will look like in space. Scientists have just discovered the closest thing to Jurassic Park that we’ll ever find. No they didn’t find any preserved dinosaur DNA nor did we find any dinosaurs still living, we found something much cooler. In an extremely remote part of Northern Australia scientists discovered what they’re calling an undiscovered “Lost World” that they only found thanks to Google Earth. On this isolated plateau they found a rainforest that has been preserved since before the dinosaurs even existed. 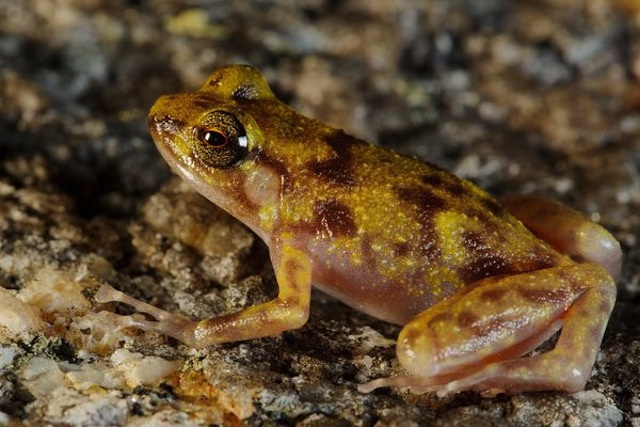 Many of the animals that they found there were completely undiscovered species that have been isolated from their closest cousins for hundreds of millions of years. It is thought that this plateau hasn’t changed too much since the end of the Permian Extinction about 250 million years ago. 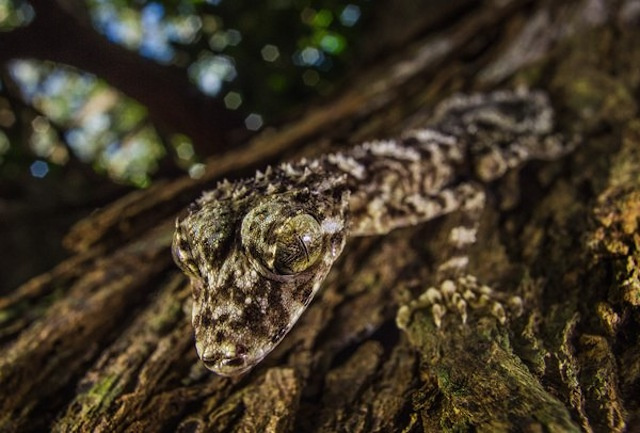 The scientists have discovered and documented three species so far in their initial exploration, the Cape Melville leaf-tailed gecko, the Cape Melville shade skin, and the Blotched boulder frog. I find it absolutely incredible that there are parts of the Earth that we still haven’t fully explored yet and species of plants and animals that we haven’t yet discovered. It took Google Earth and a helicopter to find one of these last unknown frontiers and seeing this story makes me wonder just how many more unexplored places there are. No one in human history had ever laid eyes on that frog before this week.